On 21 October 2016, the Secretary-General of the United Nations decided that the new Honorary Ambassador for the empowerment of women and girls will be Wonder Woman, a fictional character, the rights to which are owned by DC Comics, a for-profit entertainment corporation. Since that date, over 16,000 people have expressed their concern with this appointment. The message the United Nations is sending to the world with this appointment is extremely disappointing. The bottom line appears to be that the United Nations was unable to find a real life woman that would be able to champion the rights of ALL women on the issue of gender equality and the fight for their empowerment. The United Nations has decided that Wonder Woman is the role model that women and girls all round the world should look up to. Having strong (living, breathing) female role models is a critical aspect of the goal of empowerment of women and girls. If the United Nations would like a list of incredible extraordinary women that would formidably carry out this role, we could surely be able to come up with a list from which the Secretary-General could choose. Since 2007, the Secretary-General has launched campaign after campaign under the banner of the empowerment of women and girls. However, the United Nations cannot on the one hand claim that “providing women and girls with equal access to education, healthcare, decent work, and representation in political and economic decision-making processes will fuel sustainable economies and benefit societies and humanity at large,” and on the other, award this key ambassadorial role to Wonder Woman, relegating the importance of the issue of gender equality and the empowerment of women and girls to the previous appointment of fictional characters for ambassadorial positions, such as Tinkerbell (Ambassador of Green) and Winnie the Pooh (Ambassador of Friendship). 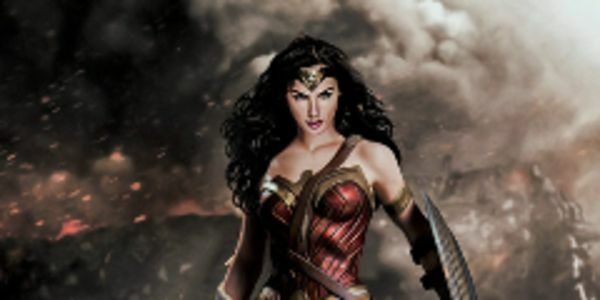 We would urge you to please sign this petition to ask the Secretary-General to reconsider the appointment of Wonder Woman as the Honorary Ambassador for the empowerment of women and girls. This role is too important to be championed by a “mascot.” We need to also ask that he consider the appointment of a real-life female role model that women and girls the world would be able to look up to, irrespective of their cultural background. While Wonder Woman can of course be part of the conversation, an animated character surely cannot be charged with what it is a very important role. Finally, this concern is not just an issue for women. It also for men, as stressed in the United Nations “He for She” campaign, to question gender-based assumptions and be advocates for gender equality. According to the UN: "To those who say that they don't need a fictitious character to empower them or to tell them about women's empowerment, we agree, you are not the intended audience for such campaigns. We are not going to preach to the converted. We are trying to reach new audiences and young people who do not follow UN news or read the organizations reports and resolutions. Young people who get their world views and often, inspiration, from pop-culture icons such as Wonder Woman." To him, we say WE ARE THAT audience! We are WOMEN, GIRLS, MEN and BOYS that actually care about the image of the United Nations that is beamed across the world! Do not patronise us for voicing our views! Over 12,000 of us have done so in 10 days! We will contine to make our voices heard. So please: Share! Sign! Stand up and be counted! ​You are all incredible! Since Friday over 10,000 people have spoken! Look at the press. Your voices are being heard. We will continue to keep this conversation alive. Keep sharing. Encourage more signatures. This is not trivial. We are not going to "get over ourselves" as requested by Lynda Carter. It is too important for all of us, for our work towards empowerment for women and girls. We are standing up, we are being counted! Thank you. ​We cannot thank ​you ​all enough! The overwhelmingly support online and at the protest yesterday has been amazing! ​Thank you for your messages! ​Especially as we did not have much time. Many across the world have written asking to join the cause! So we have opened up the petition to everyone.​ Stand up! Be counted! Sign! Share! Encourage ​more ​signatures. Let our voices be heard. Loudly! We are almost there! For those who can, please join us at 11:45am today at the ECOSOC Chamber to show our silent but non-disruptive protest. Please continue to share and to encourage others to sign. We are shy of just 200 signatures to reach our target. In 48 hours, your support has been amazing! And we are glad that even those that do agree, have joined the dialogue. You all rock! Have a great weekend. Incredible! Over 700 people voiced their views! Sadly, the Secretary-General has decided to go ahead without proper discussion on either side of the debate. The owners of the character today met with the UN and press in a closed meeting. The content of the meeting has been embargoed. There will be a silent demonstration at the UN Secretariat in New York tomorrow during the ceremony appointing Wonder Woman. Please wear all white, and join us at 11:45 am in front of ECOSOC Chamber. Your support is greatly appreciated. Thank you. here is another petition that needs your support from UN Women. If you have an opportunity to go on their site, please do and sign their petition.